The architecture, building, and construction industries represent a growing market sector for stainless steel profiles. Sharp corners, square edges, and clean lines of industrial metals like stainless steel are a distinct characteristic of modern architecture. 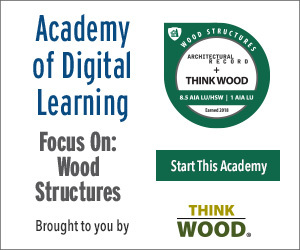 This course will help you learn all about how the innovative manufacturing technology of laser fusion allows for almost limitless design flexibility and the ability to produce sharp cornered stainless steel profiles for architectural and structural applications. Explain the process of laser fusion and its benefits and how this process allows for the production of sharp cornered stainless steel profiles. Summarize the advantages and benefits of using stainless steel for your designs. Discuss the various applications of stainless steel profiles in the architectural, industrial, and structural industries. Discuss the stainless steel design guide, AESS characteristics, material specifications, mechanical properties, and certifications of stainless steel laser-fused profiles. Stainless Structurals produces and distributes stainless steel structural shapes and special custom profiles throughout the world. We produce profile through a variety of manufacturing technologies, and our range of capabilities allows us to provide creative solutions in custom shapes, sizes, and alloys. Our technology allows us to produce shapes that have previously been impossible to make through traditional methods, which means that we are able to offer architects and designers unrivaled design freedom. Stainless Structurals is your profile solutions company. If you can dream it, chances are we can make it. www.stainless-structurals.com.